Riggers are problem solvers. They inspect and attach the rigging used on cranes and other specialized lifting equipment to move large and heavy loads. Riggers have to figure out which equipment is going to work for lifting huge items, including industrial towers. There’s no room for mistakes. Riggers must closely communicate with lifting operators and it’s critical they understand the hazards associated with different types of loads. Los aparejadores inspeccionan y adjuntan los aparejos usados por las grúas y otros equipos especializados de ascensores y poleas que mueven cargas grandes pesadas. Junto con la habilidad de identificar el equipo apropiado para aparejar y las configuraciones que se necesitan para cada aparejada, los aparejadores se comunican por medio de señales con las manos y a través del radio y deben de entender los peligros asociados con diferentes tipos de cargas. What Is a Basic Rigger/Signalperson? The first of four Lift & Move USA career events in 2017 was held February 14 in Tampa, Florida, hosted by ALL Crane Rental of Florida, LLC, part of the ALL Family of Companies. The event saw approximately 450 young people from local schools and colleges who converged on ALL Crane’s Tampa facility to learn first-hand about careers in the crane, rigging and specialized transport industry and to see heavy equipment at close quarters. I attended one of the Lift & Move events last year in Houston and shared some video interviews I recorded then. The following was originally published on the NCCER blog Breaking Ground. Reprinted with permission. There’s no better time to work in the construction industry than now. With a growing skilled workforce shortage, salaries remain high and career opportunities are plentiful. 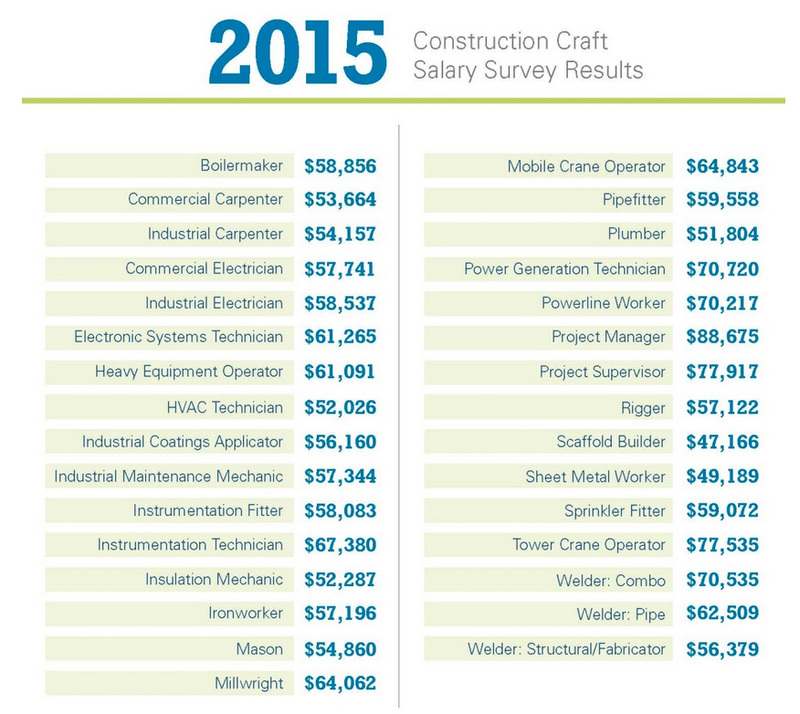 Earlier this year, NCCER released its annual Construction Craft Salary Survey, which lists the average annual salaries of craft professionals from industrial and commercial construction firms across the country. The second ever Lift & Move USA event which was held last month in Houston connected over 650 high school and college students with industry representatives from the crane, rigging and specialized transport industries, inspiring them to pursue careers in those challenging and rewarding fields. In a recent post, I shared some video coverage from the Construction Careers Expo, where Houston-area high-school students heard from contractors and owners who volunteered their time and equipment that day to expose the students to several craft professions. The annual event was sponsored by the Associated Builders and Contractors of Greater Houston (ABC) and the Construction and Maintenance Education Foundation (CMEF). The event will target high school and college students and military veterans to promote job opportunities in crane, rigging, and specialized transport industries.